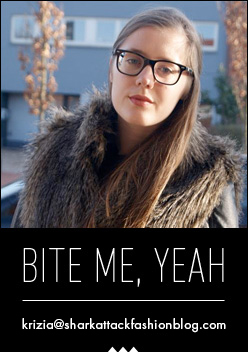 Omg echt super leuk! Indeed coolest mom ever!!! Wow, they look really great!! geweldig gewoon! echte street style! 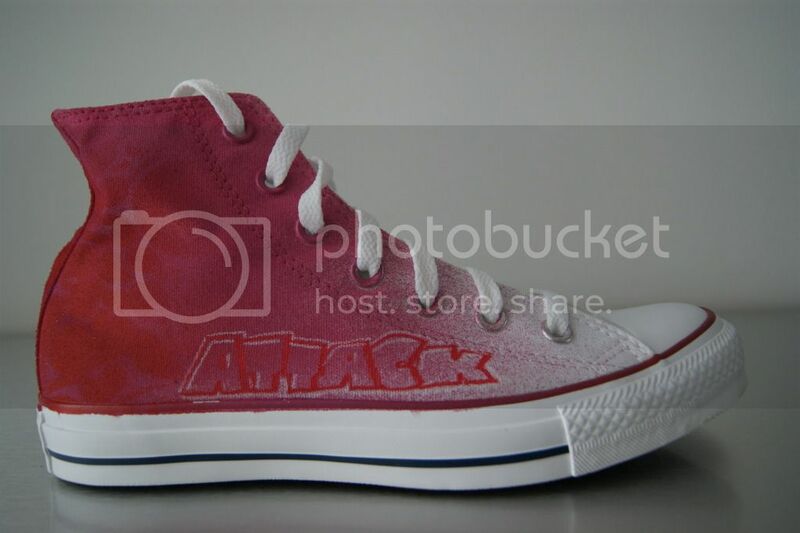 customized items are by far better than original ones because they're unique)) congrats on your personal chucks! Haha cool :D! Leuk gedaan! Ik ga hier ook verder met ombre als school gedaan is. Who cares, indeed! 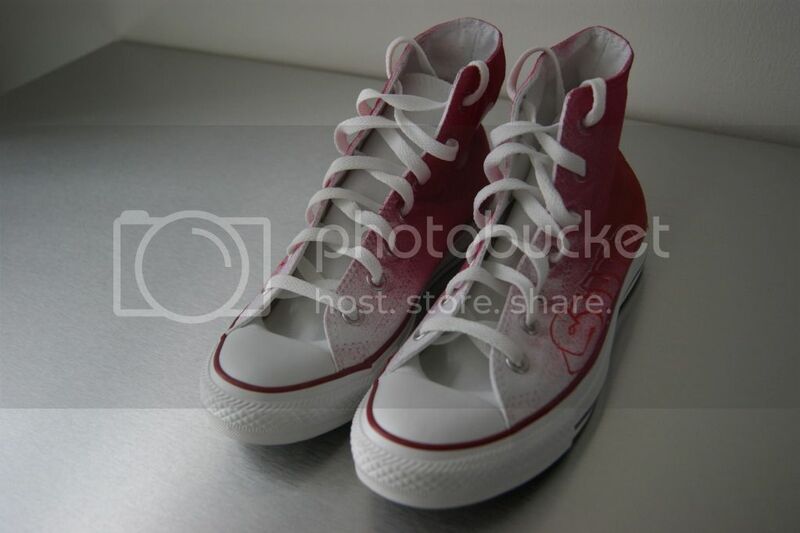 Those customized Chucks are awesome! I love the ombre look and no one else will ever have the exact pair. OMG!! I love this shoe! unique and very stylish. 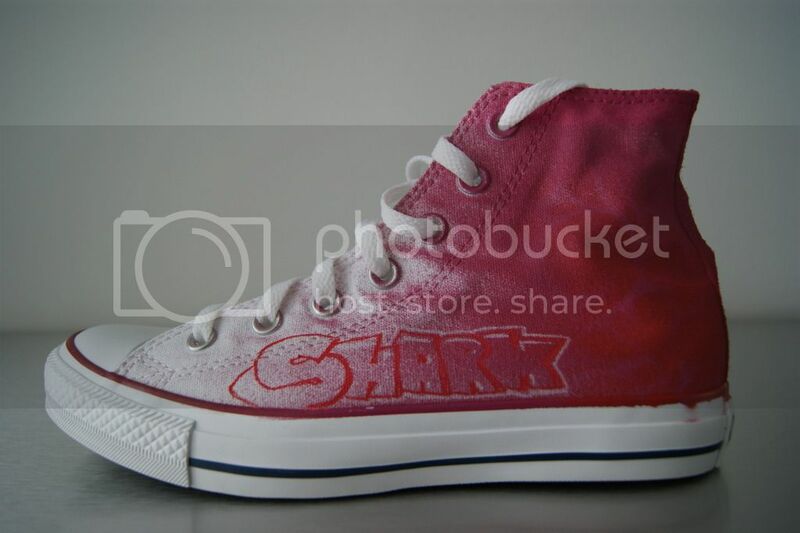 "Shark Attack" customized converse print!I love the design, simple yet attractive.